Mahfuzul Hasan Bhuiyan is an Architectural photographer based in Austin, Texas and represented by Image Colleague Society, USA. He is an architect and a photographic artist who specializes in evocative images of the living world. It is his passion that has brought him to professional photographic practice. His extended interest in different photographic genre inspired him to capture mundane life around the globe. His photographs of people reveal a compassionate understanding of his subjects. But whether it’s the countryside or the bustling city, his subjects and the photos portray raw emotion and never ending search. In the process, viewers are taken on a journey to what all human yearn for – essence of happiness. As recognition , Mahfuzul works have won hundreds prestigious awards in photography and exhibited in different international exhibitions including Humanity Photo Award-China, Marmaris Photo festival-Turkey, Photographers Forum-USA, WHO International award-Malaysia, Mundial Photo Festival-Croatia, Foto Odlot-Poland, International Image Circuit-Netherlands, EYUP Municipality award-Turkey, Imaging our future together-The World Bank, Bucovina Mileniul-Romania, Uksudar Municipality award-Turkey,NFI Foto-Meisterschaft-Austria, International Photo Exhibition Mladi- Slovenia, Trofeo Torrets-Spain, Portrait Circuit-Serbia, ISF World Cup-France, GASO and Norga Circuit-USA, GHF & UNEP Global Photography Competition, Click Conserve & Care-India, Master Cup-USA etc. In 2015, he has been selected as “Photographer of the Year” award from Konya Photo Festival, Turkey. Currently, Mahfuzul is the Chairman of Patronage Division of Image Colleague Society and United States Photographic Alliance. 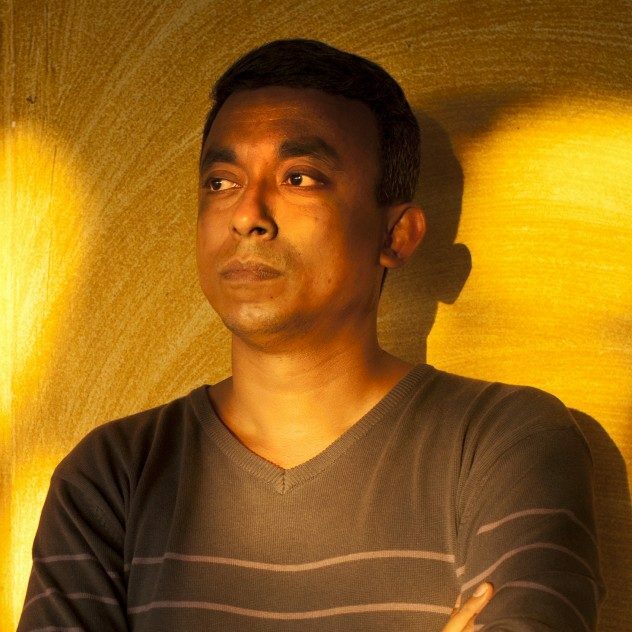 He is also one of the co-founders of Bangladesh Society of Photographic Arts (BSPA) and Pern Images. He has been a fellow of several international photographic organizations and served as a jury member for many national and international photographic competitions too. The things that he has achieved a set of standards in the field of photography and inspired many of current generation of photographers. So creative in positioning the photo with a multiple exposure or layer. May be a dream of a living being starts a new life? I’ve always institute that when we enquire someone to look to the camera, it tends to look a little forged. May be it’s not a perfect look or smile or that it doesn’t show in the eyes. Easier than you may think. To me, it could be a person alive or dead or someone holding her with some hand of love. May be a dream or Reincarnation. The image may not be literally what’s going on, but it’s illustrative. Outstanding work. Portrait photography is quite rewarding when you can capture the essence or mood of a conceptual subject. In such image, early marriage and early widow and their distance in society, a person’s character, whatever it is that makes that person who they are. Both represents vulnerable experience of a society. That invokes an emotion. A perfect moment of childhood fun and memories of life. The time we crossed away and these interesting times from childhood that makes us happy to go back to early age. Found the composition stimulating. The expression in the mirror and the character is the unique value of this image. The most important thing for the characters of this image to feel real and to give the humanity they are owing. Very well composed, and well exposed. A precious portrait invokes an emotion which aware of all the process involved in making the photo happen. Affectation and lighting both play enormous roles to create this dynamic portrait. Painted with feeling in every corner of this image. Like the layers of leaves and trees that make up a nice portrait go beyond precise exposure, to composition & expression. Eye fascinating work. Absolutely appealing. Symbolise beauty and a character of an extraordinary response to the face of a pretty women.